Benny Broccoli was, among other things, a handy-man. One of his more particular abilities was very specific, and very valuable: untangling a broken weaving machine. When a weaving machine would tangle or break, it could sometimes take around two weeks or so for a repair-man to finish the job. Benny could untangle the machine and have it working again in about a day or so, saving factories around 9 working days of down-time. Let’s say we’ve always had a knack for fixing things. As the automobile became more popular, Benny began to fix vehicles in his backyard on the side of working in the weaving mills. Gradually, the automobile work got busier and busier. And so, eventually, after the war was over and steel beams were available again, Benny erected a building of steel and used brick on Delaine street in Providence, and named it Delaine Auto. But, since the war was over, manufacturing refocused around the automobile, and everyone was buying new cars. Cars weren’t breaking as often, and Benny had less work. It’s here that he decided to take on the field of auto-body work, repainting and restoring damaged vehicles to their original p ristine look. The business was renamed Delaine Auto-Body and Radiator Works. Florio, Anthony, Benedetto, and Biajio Broccoli, the son’s of Benny, gradually took over the business as they got older. 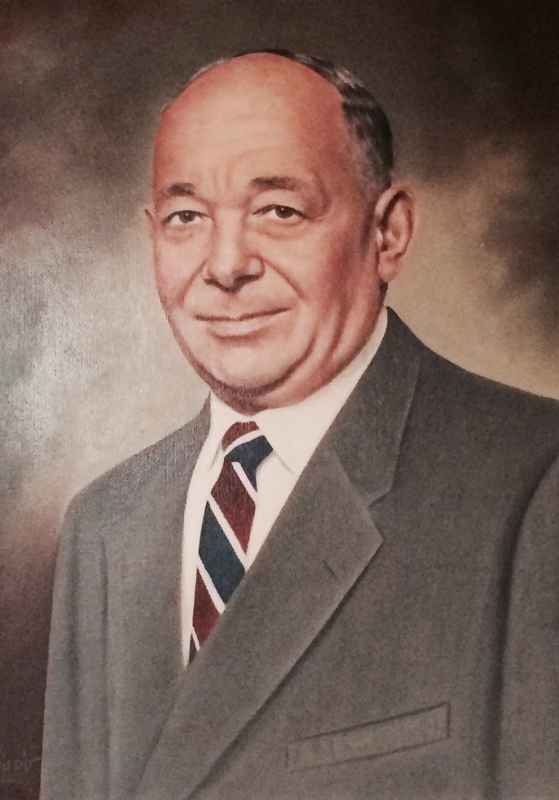 Florio decided to start an oil company, while the other three brothers remained in the autobody business. Eventually the business was moved from Providence to Johnston, RI, and resided on Atwood Avenue. Despite having to change locations, Delaine Auto-Body remained a strong pioneer in the industry, creating the moral background of quality and personality in small business that we happily bring to you today. After some time, Delaine Auto-Body was dissolved as the brothers wished to move on to other things. By this time, however, Benedetto had already trained his sons, Anthony and David, the tricks of the trade. While David moved on to other endeavors, Anthony remained steadfast to the family industry, continuing to work on cars. Nicknamed “Brock” by his peers, he decided to name his new business “Brock’s Collision Center”, founded on Halloween, 1993. Brock’s started as a very small business, occupying merely a large concrete bay, a painting booth, and an office. It remained this way for quite some time. It was this small bay that Mike stepped into one morning to ask Anthony for an internship. Mike has been with us since that day, almost ten years ago, and our shop has only grown since then. From a few small rooms and a box of tools, we have developed into a full-service shop, complete with two lifts, a frame machine, a full sized office and waiting area, paint booth, tire mounting and balancing machines, scanners, spring compressors, and much more. Nowadays Mike, Anthony, and the rest of our staff work together to create an environment of honest, knowledgeable, and personable service. A majority of the work is completed by Mike, now an expert in the many skills of auto-body and mechanical work, while Anthony conducts most of the office work and customer service. Anthony’s sons – Aaron and Avery – are both trained in the discipline. Aaron now pursues other interests, while Avery works for us on the side and maintains our social media pages. Brock’s Collision Center is rooted into a timeline of craftsmanship that has been honed since the invention of the vehicle itself. Our dedication, our skill, and our overall attitude towards this industry are fine-tuned by the time we have spent with it; from Delaine Street to Post Road, we’ve been working on cars every step of the way.